This picture, taken during the summer of 1941 and online via the National Archives of Norway, depicts an SS sign in Norway. Germanske Norge means "Germanic Norway." 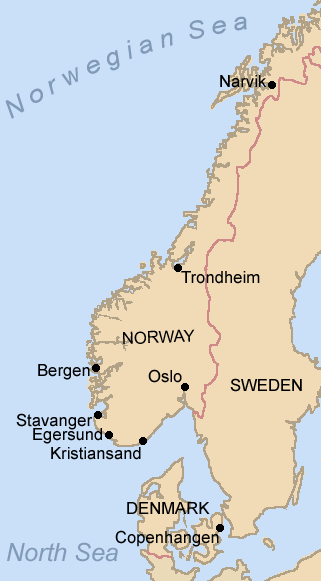 Hitler's plan for Norway, however, was inconsistent with the Norwegians' own desires for their country. Outside the newspaper office, someone on the news staff posts a handwritten note about the sinking. And ... there is more to report. German ships have been seen moving in the waters around Denmark. It is worrisome news to the locals. The Germans will be here tomorrow. The boys in Lillehammer are right about Germany’s intentions. Erling Storrusten’s father works for the Norwegian railway. Erling awakens his parents with the awful news, and the senior Storrusten realizes events will soon take place at the Lillehammer station. Although sixteen-year-old Erling and Inger (his sister, called "Ingrid" in Margi Preus' novel) go to school, they arrive to find it closed. It will remain closed the rest of that spring. 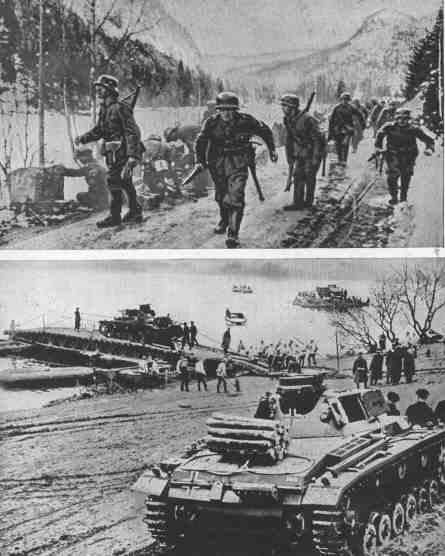 ...reasoned writing [about the invasion and Norway’s lack of preparation for it] is impossible ... April 9th 1940 is the bitterest day in my life. On the 10th of April, Erling and his fellow scouts meet at Lillehammer’s rail station. By this time they know the invaders have captured several Norwegian cities: Kristiansand, Egersund, Stavanger, Bergen, Trondheim and Narvik. What they do not-yet know is the fate of Oslo, their capital. By the end of the day, they—and everyone else in the country—hear about a different national disaster. A Nazi-supporting politician, named Vidkun Quisling, has seized power in a Nazi-backed coup d'état. The impossible-to-understand takes place when Quisling tells all Norwegians, including troops on the ground and sailors on the sea, not to resist the German invasion. Ever since, the word “Quisling,” in Norway, has the same meaning as “Benedict Arnold,” in America. Put simply, a "Quisling" is a traitor. Bos, Carole "GERMANY INVADES NORWAY" AwesomeStories.com. Mar 09, 2015. Apr 23, 2019.